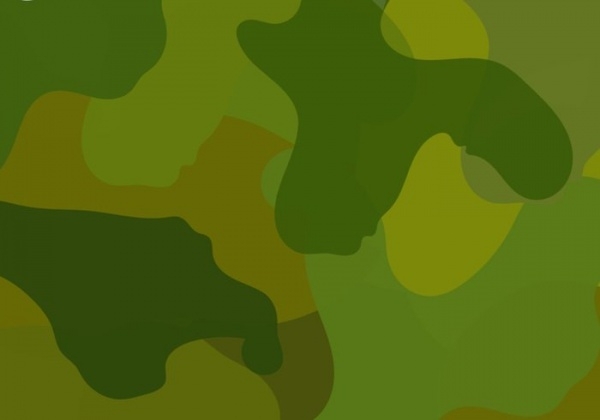 The history of camouflage patterns dates back all the way to the time of the First World War. 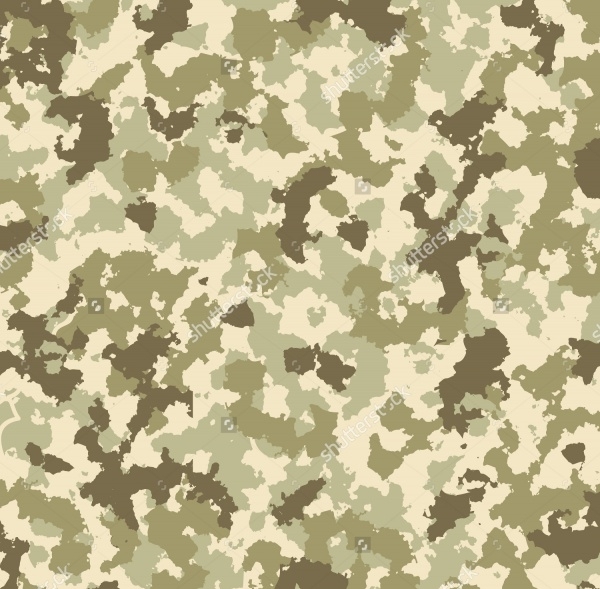 Camouflage patterns were brought in the scheme of the things by the military forces as they wanted to engineer a design which could be worn as the battle dress by the military personnel stationed along the border frontiers. Over a period of time, more so in the last couple of years, the camouflage Ornate Swirls Patterns have caught the fancies of the web design world, and artists have been developing stunning varieties of camouflage patterns, and needless to say they’ve become a huge hit! Take a look at this set of five variant camouflage patterns. 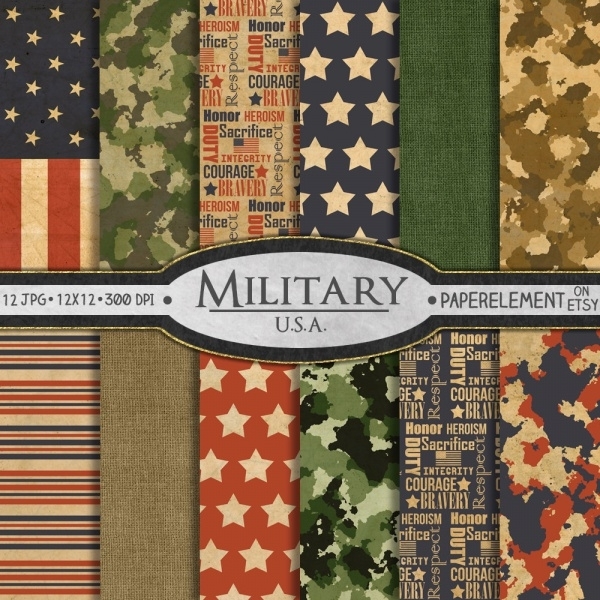 If you have a project which requires a militia or jungle feel, then this particular patterns set, with the different color variations, meets the brief perfectly. This is an unusual take on the on the camouflage patterns concept. The style and colors used in this design is futuristic and that’s why this pattern set is so unique. 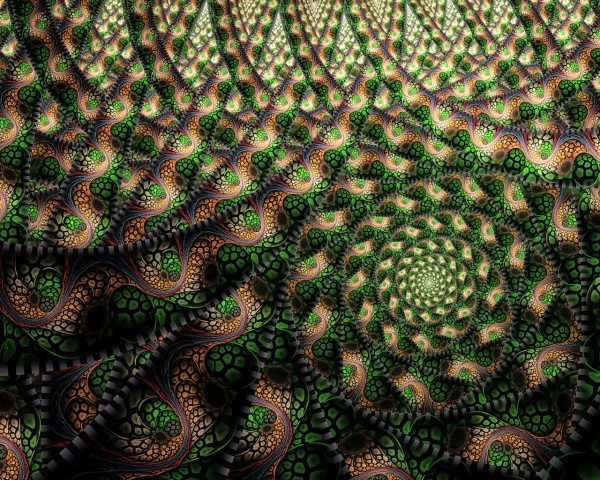 This is yet another version of the camouflage patterns put together creatively. By the looks of it, it appears as though the colors are overlapping and creating the camouflage by way of a smearing effect. This pattern set features 12 printable scrapbook papers designed United States military themed, having the red, white and blue colors of the American flag with stars and stripes. Paper textures have been used to give the patterns a more realistic and vintage feel. Let us introduce to camouflage pattern crafted out of calligraphy and typography. Unique, isn’t it? 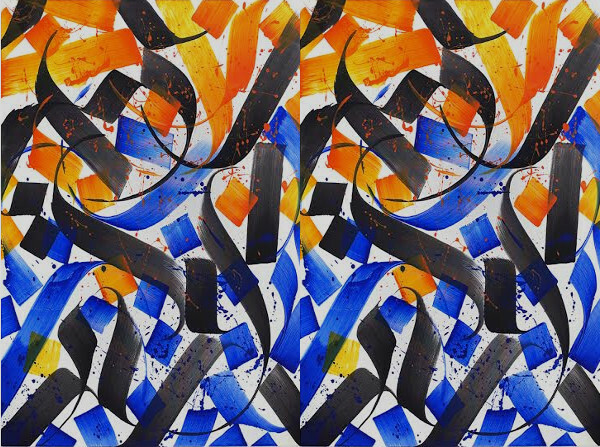 Known as an urban camouflage, the patterns have been created using calligraphic strokes in various colors. 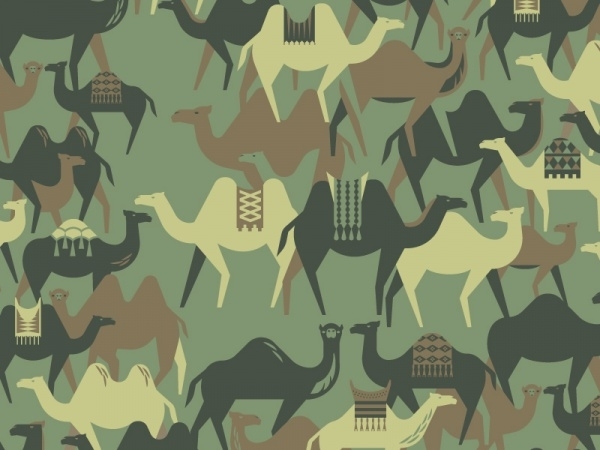 Check out yet another attractive and unusual camouflage patterns set which has been designed using camel figures against a military-green colored backdrop. The camels are black, beige and mud brown color. This intriguing camouflage pattern is one which appears to be an optical illusion at the very first glance. Conceptualized and designed with utmost imaginative creativity, this camouflage pattern is a winner! 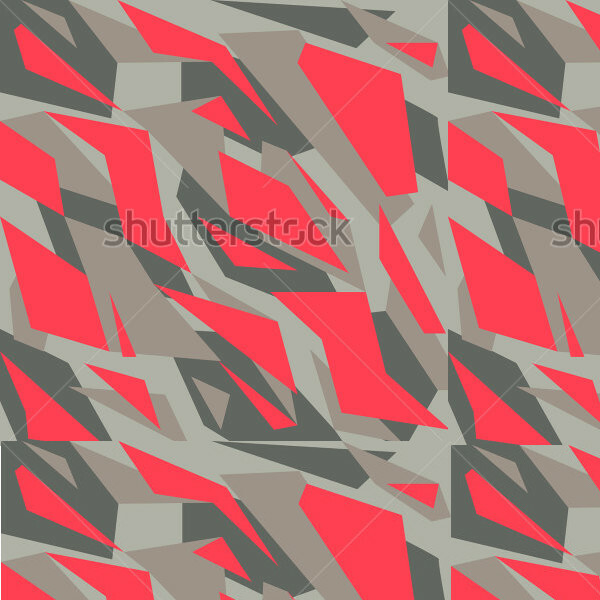 For fans of the abstract camouflage pattern, this design is a great example. 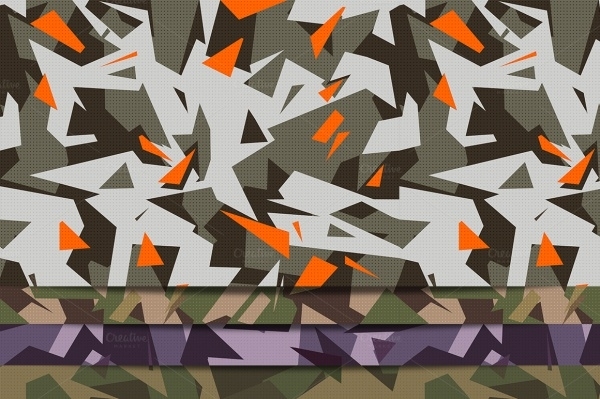 Replete with all the military colors, and abstract at heart, this pattern makes for a great camouflage vector. 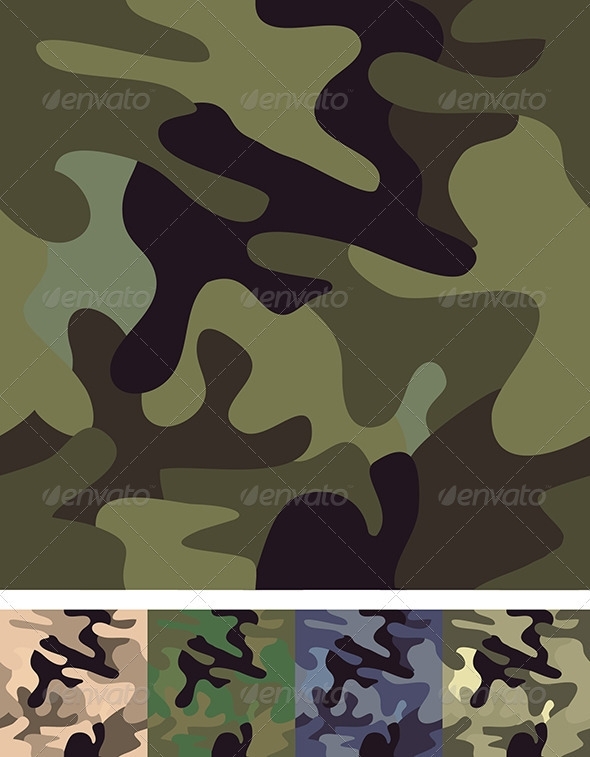 Check out this seamless camouflage vector pattern where military colors have been infused to create a dynamic pattern design. This one could be very useful for militia or war-based design assignments. 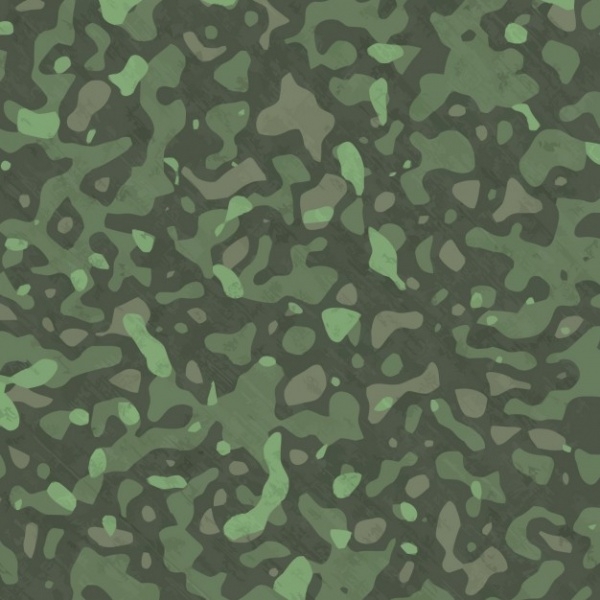 This common camouflage pattern consists of all the regular elements – splats of military greens in different tones – and all of it has been done in well-designed manner. This one is an all-time favorite. This is a military pattern which has a lot of grays in it. Quite unconventional this design is, and that is exactly what works in its favor is rises as its USP. 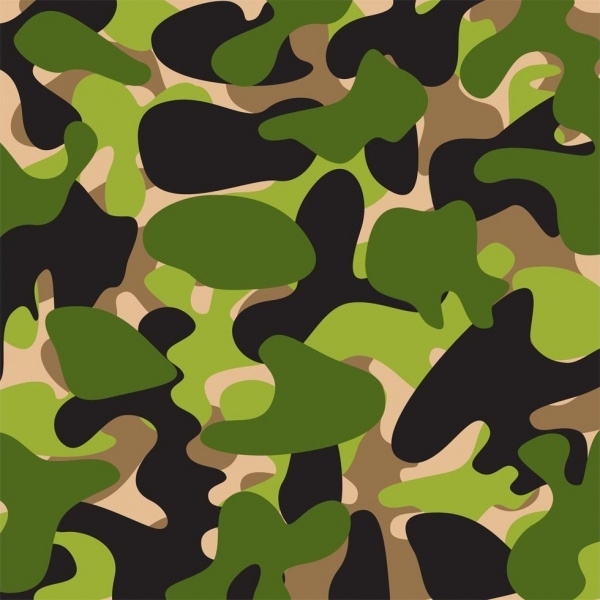 Use this innovatively designed camouflage pattern as the back of your advertising, merchandise, clothing endeavor. This design has a stylish edge to it, the combination of grays and dark pinks has always been fail-proof. Here is one more avant-garde camouflage which is very attractive due to its unusualness. Little doubt that this camouflage pattern carries a certain degree of rugged appeal. Camouflage patterns, thanks to their diversity, are here to stay. Not only web design but even the fashion industry seems to have been wooed by the patterns – which is obviously a good thing. Irrespective of what the nature of your of your design may be, if it calls for the use of camouflage patterns, there’s no short supply of it.